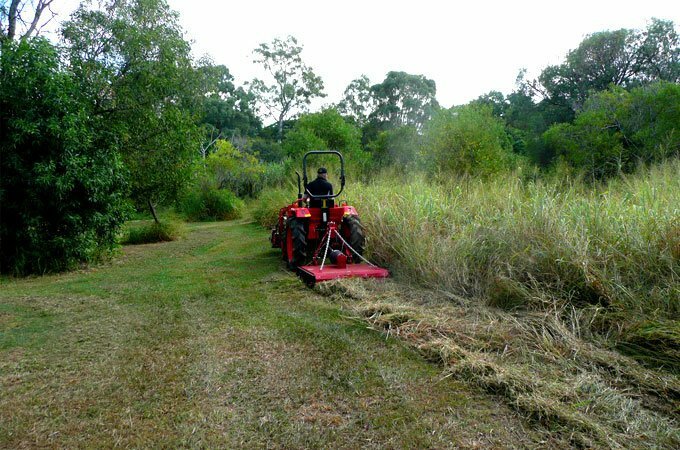 An AGMAX heavy duty slasher is perfect for clearing dense bush blocks. This heavy duty slasher has a rear jockey wheel for easy turning and variable height adjustment. 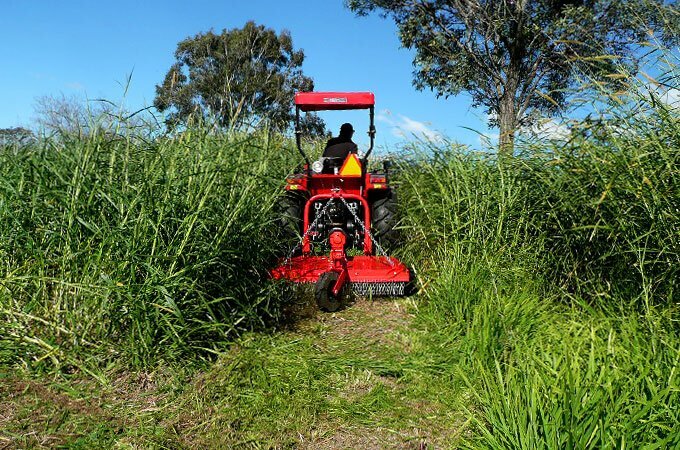 Slash through heavy grass or woody vegetation with ease! Heavy duty slasher sizes and specifications may be found below. For general farm slashing, a general purpose slasher is more than adequate. AGMAX heavy duty slashers are built to last, simple to operate and easy to maintain and service. An AGMAX heavy duty slasher has a bulletproof construction in a traditional design and is available in a variety of sizes. They are built tough for Australian conditions, utilising a high quality gearbox at the hub. They are sold with AGMAX’s two-year guarantee. 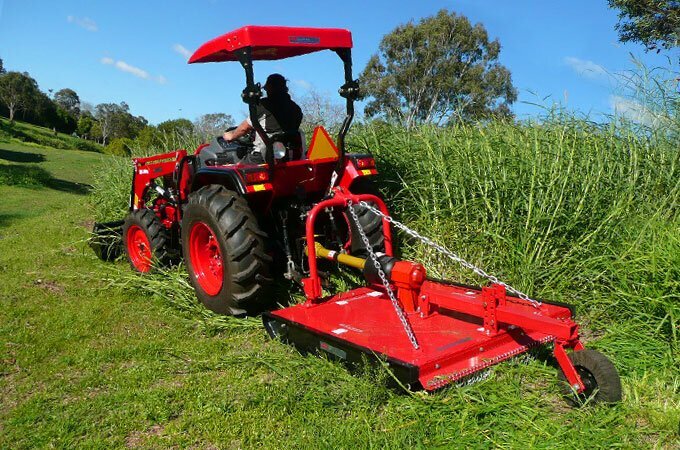 Heavy duty slashers can also tidy up along fencelines, wall edges and roadsides and are suitable for creating firebreaks in rough terrain. 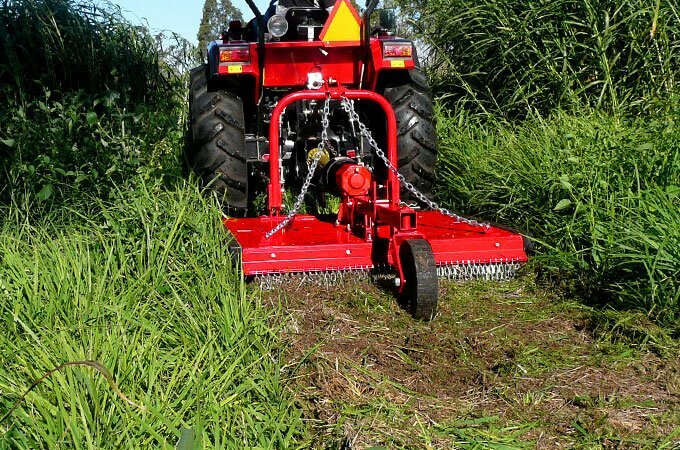 Slashers are primarily suited to cutting taller, heavier grass. AGMAX galvanised heavy duty slashers with jockey wheels are built to last. The AGMAX galvanised heavy duty slasher has a reinforced frame, quick release offset options, a collapsible hitch, adjustable skids, a stone guard and a thick, clean top deck to prevent fire through debris build up. The top deck is galvanised for anti-rusting/anti-corrosion and the jockey wheel provides better balance on uneven ground, reducing gouging and producing a more even cut. 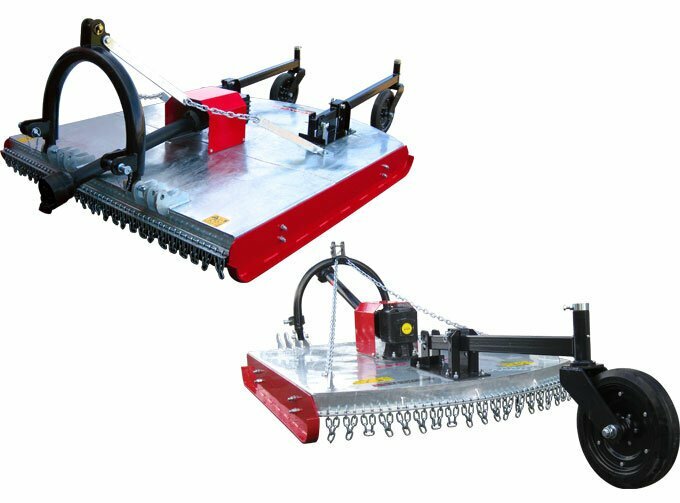 Perfect for commercial use or lifestyle farms, galvanised heavy duty slashers works well on fence line and wall-edge slashing. They will slash tall grass, including light scrub and perform in rough terrain. The PTO is simple to attached with a breakaway clutch and there is a choice of three cutting heights – 45mm, 90mm and 135mm. From left to right: SL180Z, SL135Z heavy duty galvanised slashers. 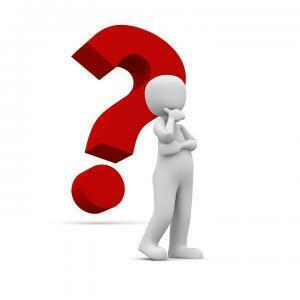 Unsure which model is appropriate for your tractor? Please ring us on 1300 767 297 or email SOTA here. We’re happy to assist!